The Santiaguito volcanic complex in Guatemala first emerged in 1922, and has grown steadily since then. Over this period, one of the magma domes has discharged lava almost continuously, and often explosively releases clouds of gas and ash. Santiaguito is the source of some of the volcanic ash samples that Dr. Adrian Hornby of the Department of Earth and Environmental Sciences at LMU is analyzing as part of his EU-funded project AVAST (Advanced Volcanic ASh characTerisation). In a long-standing collaboration with researchers at the University of Liverpool, he has now applied a novel imaging procedure to examine ash samples collected on the flanks of Santiaguito. The results appear in the online journal Scientific Reports. Volcanic ash consists of particles with diameter of less than 2 mm, and is typically made up of fragments of crystalline material and glass that are derived from magma. In the new study, Hornby employed a technology known as QEMSCAN (Quantitative Evaluation of Minerals by Scanning Electron Microscopy) Particle Mineralogical Analysis to investigate ash that had been vented in an explosive plume and ash from a pyroclastic flow caused by the sudden collapse of part of the rim of the active crater at the Santiaguito complex. "How magma fragments depends on the type of volcanic activity involved in its production, and this also changes the mineralogy that is found at the surfaces of the ash particles," Hornby explains. 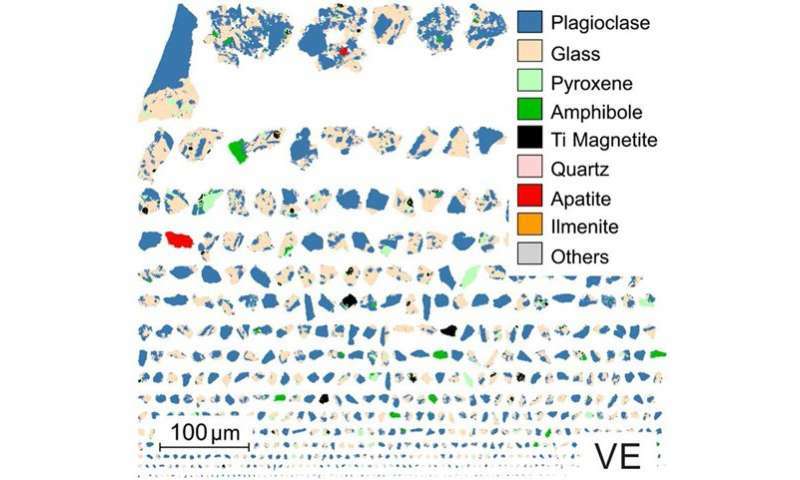 The surfaces of both Guatemalan ash samples exhibited various combinations of feldspar and glass, but the particles generated by the dome collapse had more glass and less feldspar on their surfaces than within the particles. This variation most probably reflects differences in fragmentation conditions between the two samples. 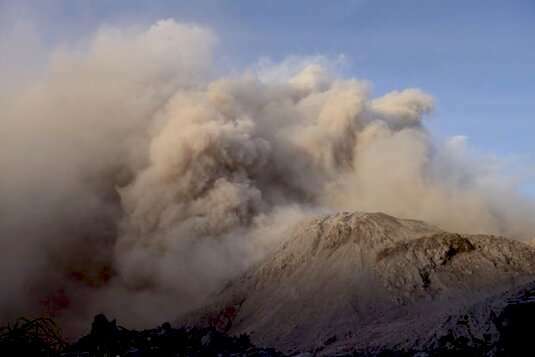 "Our findings make a significant contribution to a better understanding of the origin and composition of volcanic ash – which is necessary to enable the risks associated with eruptions to be assessed." In 2010, following the eruption of the Eyjafjallajökull volcano in Iceland, commercial air traffic in Europe was severely affected as the ash released by the event could damage aircraft jet engines.